I'm excited to show you guys an awesome find from Walgreens last weekend. 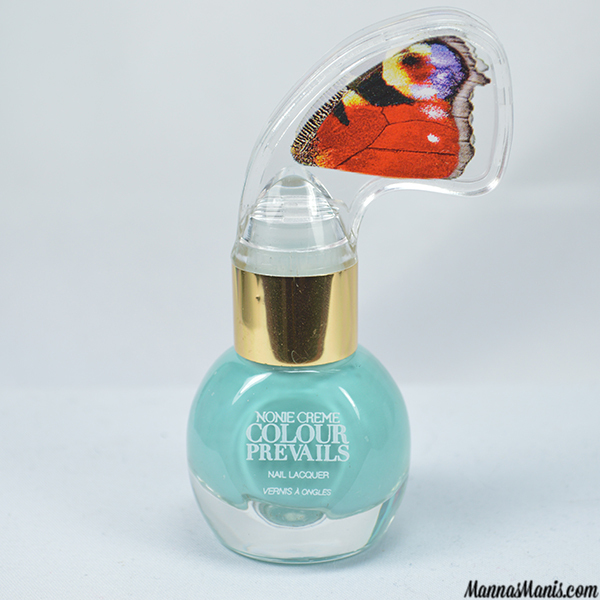 Colour Prevails is a new line of beauty products created by Nonie, the lady behind Butter London polish! From Colour Prevails:"The Precision Painter brush has a patented, ergonomically designed handle that intuitively guides your grip for precise, professional quality application. Choose from a palette of 35 unique shades custom mixed by Nonie Creme." For a tutorial on how to hold the cap check out this review. There were soo many gorgeous colors to choose from, I ultimately went with a color that I could use for spring. 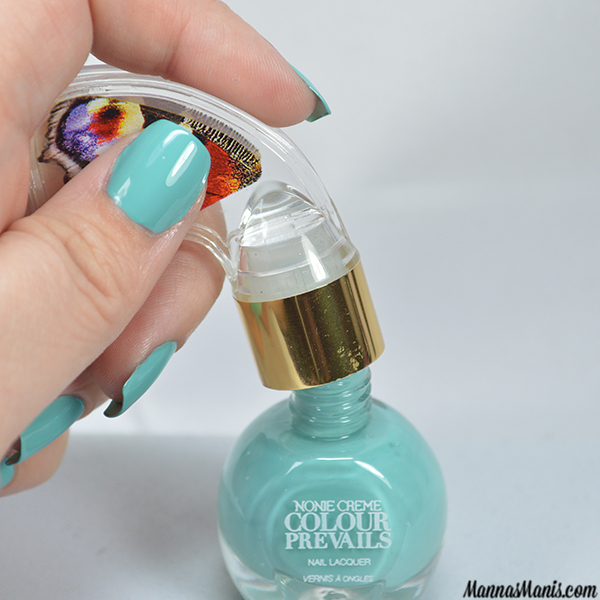 Privileged is a gorgeous bright turquoise creme. The formula was smooth, no bald patches, application was easy with the ergonomically designed handle! This is 2 coats topped with HK Girl. You can find these at Walgreen's for $8 a piece. Colour Prevails also has make up products including lip stick, lip gloss, foundation, eye shadows etc.